My new column in Weekly Trust. First installment. I’d love your feedback on the column and suggestions for future subjects. I begin this column with a slight sense of trepidation. I am an American, venturing to write a weekly column about my interaction with contemporary popular arts in Nigeria, focusing on Hausa film, music, and literature. “What does an American have to say about Nigerian, and particularly Hausa, art that is worth reading?” you may ask. So in this first piece, let me give you a background on myself and why I am so passionate about the arts in Northern Nigeria. I hope that you will come back next week for more. My first trip to Kano as an adult was in 2005. 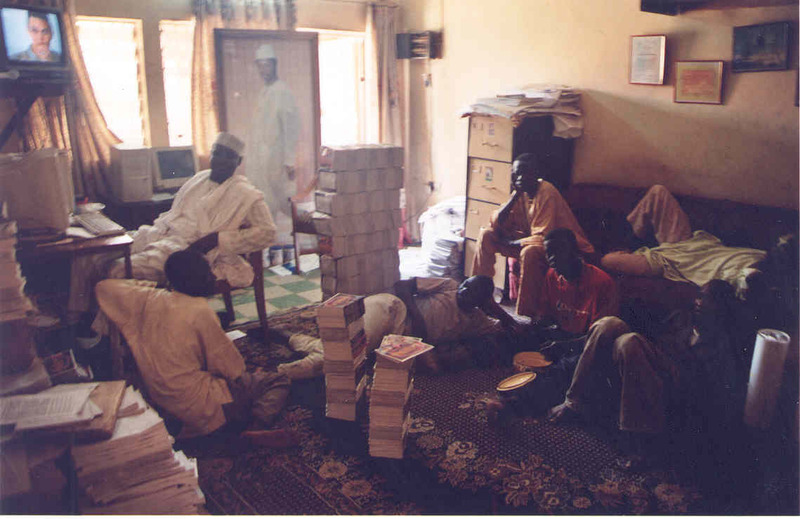 I had just spent nearly three months in Sokoto learning Hausa, as a part of a requirement for my U.S. based PhD programme in African Languages and Literature. A large part of that study had been reading Hausa novels and watching Hausa films, and I was newly starstruck by my meeting with Hausa novelists and filmmakers. 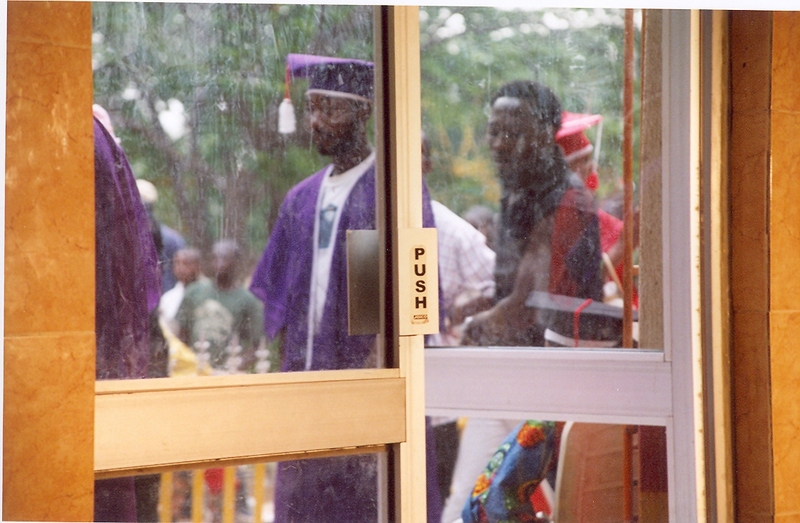 My formal education, thus far, had been in literature, a BA in English and postgraduate work in African literature. Ever since my undergraduate days studying the Romantic movement of 19th century England, the Beat movement of 20th century America, and others, I had been fascinated by these intense creative historical movements, where writers and artists and philosophers and political activists work together and influence each other. That August, when I first heard filmmakers in intense debate at the Centre for Hausa Cultural Studies on Zoo Road or sat with Hausa writers at the office of Gidan Dabino Publishing Company and listened to them discuss the massive numbers of novels they were selling, I felt a sense of déjà vu . This was one of those rich historical arts moments I had always wanted to be a part of—and it was here in Hausa in Northern Nigeria, a place I had often heard disparaged as being full of illiterates and extremists. I knew then I had to come back. I wanted to study this movement so that other people outside the Hausa speaking world would know of it; I wanted to combat stereotypes about the Hausa speaking north; but mostly I just wanted to come back and be a part of the creative energy. I had first come to Nigeria as a child in 1988 accompanying my parents. My father was a dreamer, and one of his dreams was to take his children to live in a place where they would be able to see beyond the privilege, materialism, and self-centredness of American life. When we first went to Port Harcourt on the invitation of a university, my parents told us we would be in Nigeria for four years. 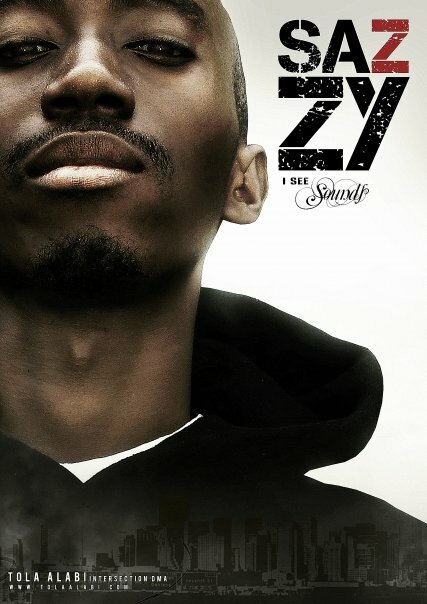 Four years turned into twenty-two and counting. After three years in Port Harcourt, our family moved to Jos in 1991, where my father became a professor in the Religious Studies Department at the University of Jos. My parents have lived in Jos ever since. Our parents encouraged us to venture into Nigerian life beyond our international school bubble. My brother Dan, as young as he was, co-hosted a Rock and Roll show on 95.5 FM, Jos, with DBMC, the Rocking MC, foreshadowing his work in entertainment as a filmmaker. My sister Laura, once she was in high school, volunteered at Evangel Hospital, anticipating her career as a medical doctor. I was shyer, preferring to spend all my time reading fantasy and science fiction novels, daydreaming, or writing in my journal. During one school break, my father signed up all of us children to take a two month Hausa course, where we learned the basic Hausa of greetings and market language. But, as a teenager immersed in my own world, I wasn’t interested. I was convinced, from my struggles with Spanish at school, that I couldn’t learn another language, and I didn’t see the need. We didn’t need Hausa at school. We wouldn’t need it in America, where I was going. It was interesting but not worth pouring my life into. When I returned to the U.S. for university, I studied English literature and creative writing. I hung out with groups of writers and poets and became co-editor of my college literary magazine. I wanted to be a part of one of those significant historical moments I was studying. I wanted to write something people would read after I died. I planned to stay in the U.S. then. I imagined myself in the forests of New Hampshire or the craggy coasts of Maine, sitting in a bay window watching the snow fall and penning my poetry. But when following my graduation, I moved to New York City with my best friend from Nigeria and worked as an editor at a small children’s book publisher, my longing began to turn back towards Nigeria. Hosting old school friends, whenever they came through New York, I realized how much of Nigeria I had missed as a child, living as I had in the world of fiction and the protected atmosphere of an international school. As much as I loved New York and loved the masses of people from all over the world who co-exist in the city, I craved for Nigeria. I wanted to find out if I could belong there—me this white American girl, who had many homes but not a single one I felt I could commit to. So in September 2001 just as the towers came down in New York and the fires raged across Jos, I returned on a Fulbright scholarship to Jos. I spent the next two years doing a little research, a little writing, a little teaching, a little editing. 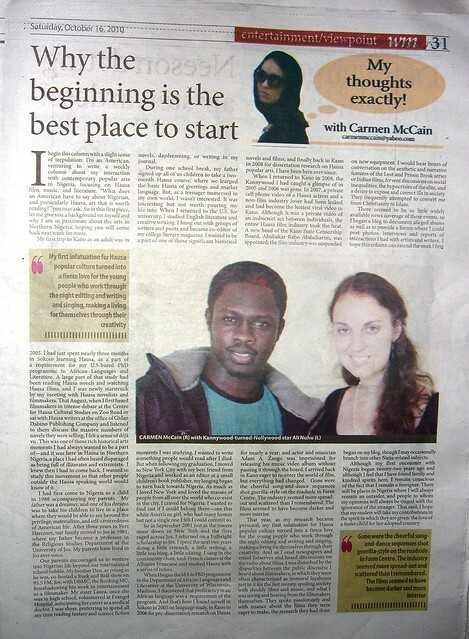 I sang in the community choir, took French classes at the Alliance Francaise and studied Hausa with a series of tutors. I discovered on a one month trip to Lomé, Togo, to improve my French, that I wasn’t bad at learning languages; I just needed to live in a place to be able to speak. I became involved with the small but thriving Jos branch of Association of Nigerian Authors and determined to go back to school and do a PhD on contemporary Nigerian writing. that’s how I found myself in Sokoto in 2005 on language study, in Kano in 2006 for pre-dissertation research on Hausa novels and films, and finally back in Kano in 2008 for dissertation research on Hausa popular arts. I have been here ever since. 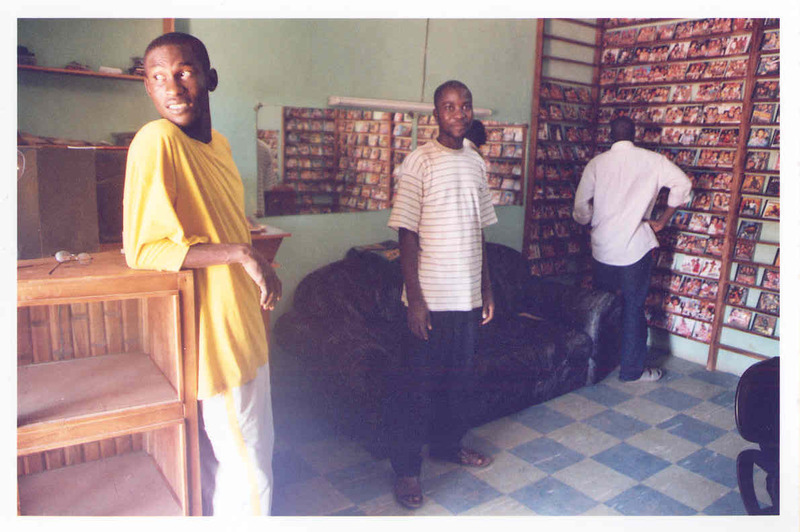 When I returned to Kano in 2008, the Kannywood I had caught a glimpse of in 2005 and 2006 was gone. In 2007, a private cell phone video of a Hausa actress with a non-film industry lover had been leaked and had become the hottest viral video in Kano. 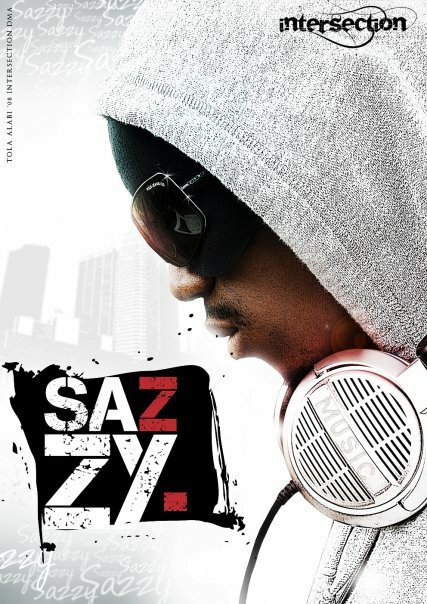 Although it was a private video of an indiscrete act between individuals, the entire Hausa film industry took the heat. 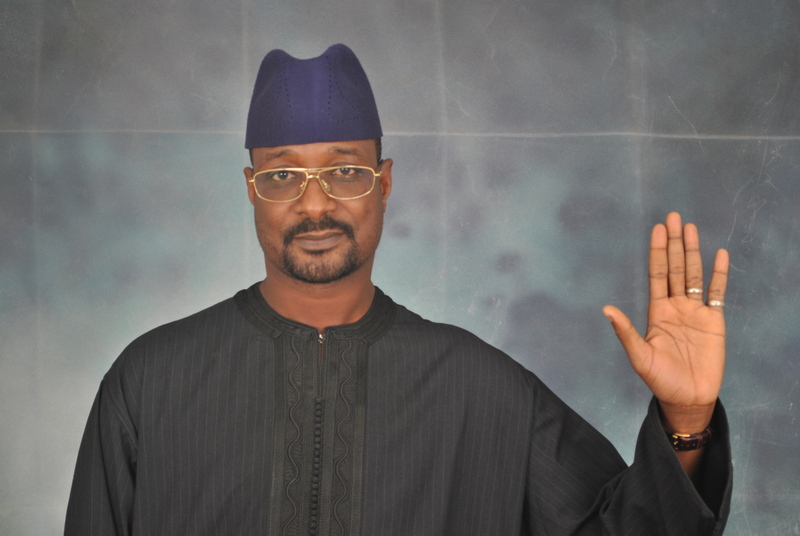 A new head of the Kano State Censorship Board, Abubakar Rabo Abdulkarim, was appointed; the film industry was suspended for nearly a year; and actor and musician Adam A. Zango was imprisoned for releasing his music video album without passing it through the board. 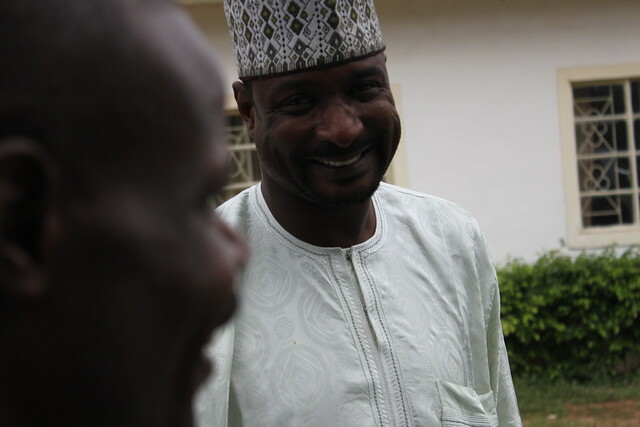 I arrived back in Kano eager to re-enter the world of film, but everything had changed. Gone were the cheerful song and dance sequences shot guerilla style on the side of the road in Farm Centre. Gone was the jolly confusion of four films at a time on location at Fine Time Park and Restaurant. Gone were the gala shows in open air theatres near Marhaba cinema. Gone was the anticipation that you might see filmmakers at any time, shooting on the side of the road. The industry seemed more spread out and scattered than I remembered. Films seemed to have become darker and more interior. the films. 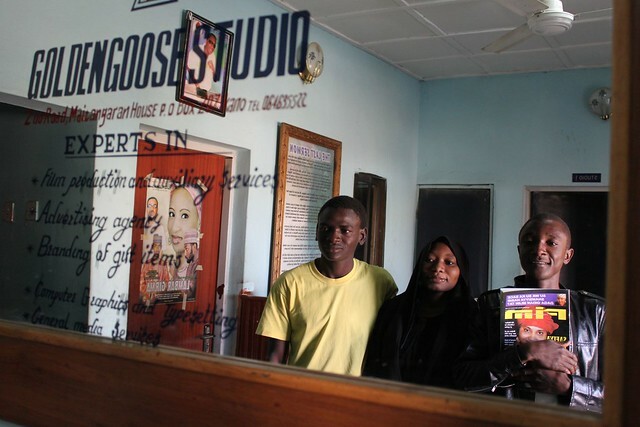 My main hang out was at Golden Goose Studio on Zoo Road, managed by the Hausa rapper Ziriums, with assistance of his brother Osama bin Music. 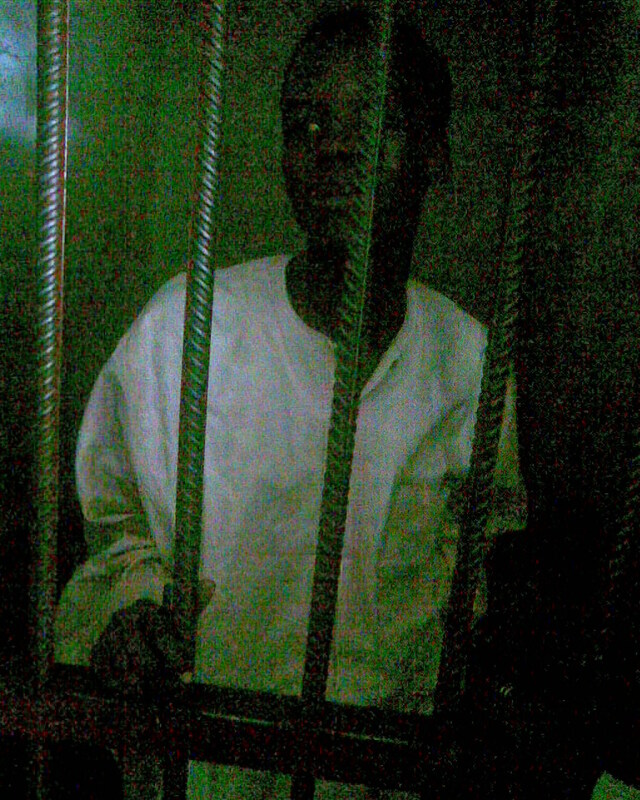 There I grew to know the Hausa novelist and screenwriter Nazir Adam Salih, editors Sulaiman Abubakar, Yakubu, and Mohammad Abdullahi , musicians DJ Yaks, Alfazazi, Pastor Dan, Suhaima YK and Aisha; the writer, producer and director Baba Ali Yakasai, and young Ya’u, the orphan who had begged on the streets before becoming a studio hand and being sponsored to go back to school by the studio. Large numbers of artists trooped through the studio on a weekly basis, overseeing films as they were edited, or voicing radio programmes and songs in the studio. scripts, having long conversations on religion and politics and film and culture. 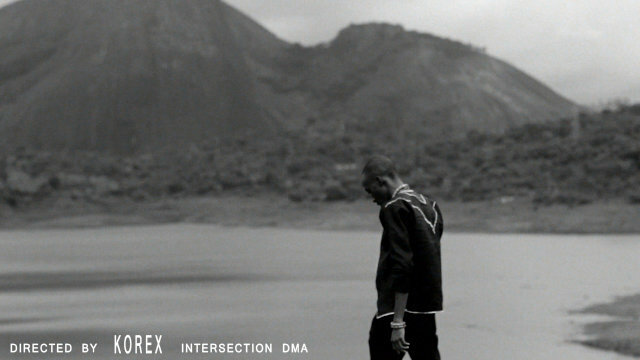 It was here I finally felt I had found the home in Nigeria I had been seeking for so long. their creativity. And as I read newspapers and email listserves and heard discussions on the radio about films, I was disturbed by the disparities between the public discourse I heard about filmmakers, in which they were often characterized as immoral layabouts just in it for the fast money, spoiling society with shoddy films and music, and what I was seeing and hearing from the filmmakers themselves. They spoke passionately and with nuance about the films they were eager to make, the research they had done on new equipment. I would hear hours of conversation on the aesthetic and narrative features of the Lost and Prison Break series or Indian films, fervant discussions on social inequalities, the hypocrisies of the elite, and a desire to expose and correct ills in society. They frequently attempted to convert me from Christianity to Islam. 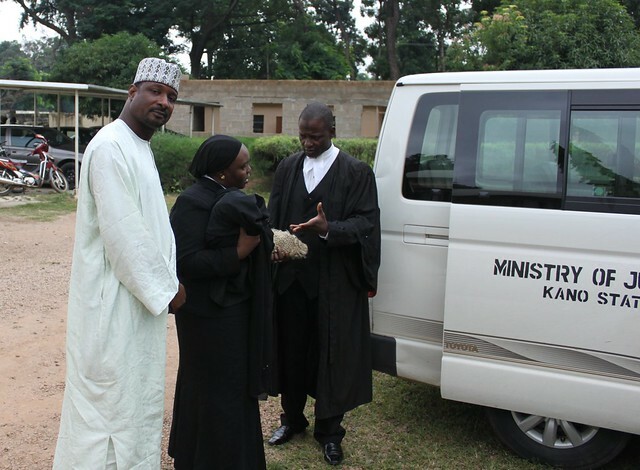 In October 2008, a few months after I began to hang out at Golden Goose, the popular comedian Ibro and his colleague Lawal Kaura were arrested and imprisoned for two months after a quick trial at a mobile court attached to the Kano Censor’s Board with no lawyer present. They were accused of having not registered a company they claimed did not exist. 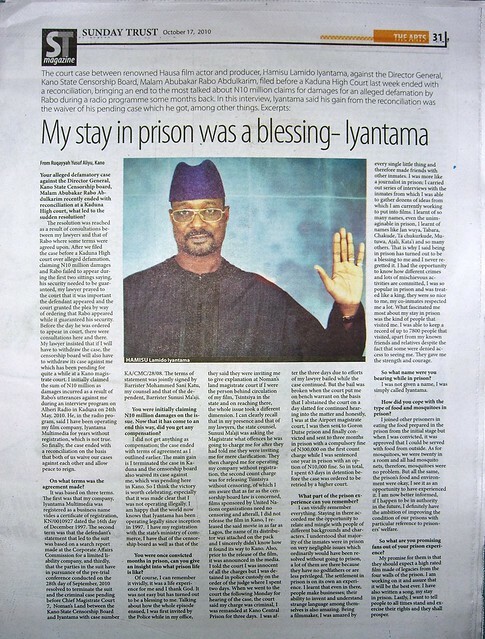 At the end of December 2009, pioneering Hausa filmmaker Hamisu Lamido Iyan Tama was imprisoned for three months on accusations that he had not censored his award-winning film Tsintsiya with the Kano Censor’s Board even though he had stated on the radio that the film was not for sale in Kano. But these were only the big names. Hundreds of other film industry workers were also being regularly detained and fined for obscure offenses. In February 2009, my friend Sulaiman, the editor I had gotten to know at Golden Goose, was arrested on accusations that the studio he was now working in was not registered with the censor’s board. Sulaiman’s employer came to the police station bringing the papers showing the studio was registered, although it had recently moved locations, but the police insisted that Sulaiman would spend the night in jail before being taken before a judge. 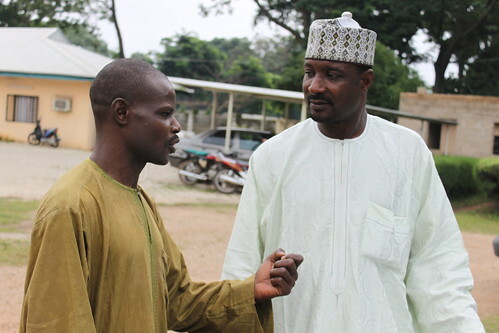 The conflicts have continued into 2010, most recently in a series of legal altercations between the Kaduna filmmaker’s association and the director general of the Kano Censors board, which have included Kano police travelling to Kaduna to arrest the editor of Fim Magazine, Aliyu Gora. Because there seemed to be so little widely available news coverage of these events, I began a blog to document alleged abuses as well as to provide a forum where I could post photos, interviews and reports of interactions I had with artists and writers. I hope this column can extend the work I first began on my blog, and plan to focus mainly on Hausa popular culture and my experience of it, though I may occasionally branch into other Naija related subjects. Although my first encounter with Nigeria began twenty-two years ago and although I feel that I have found my family and kindred spirits here, I remain conscious of the fact that I am a foreigner. There will be places in Nigeria where I will always remain an outsider, and people to whom my opinions will always be tinged with the ignorance of the stranger. That said, I hope that my readers will take my contributions in the spirit in which they are given: the love of a foster child for her adopted country. I hope I may contribute in freshness of perspective what I lack in full understanding, and that as I write, I will transfer some of the excitement and love I have for these creative entrepreneurs to my readers. I welcome your feedback.